Whether you’re part of a growing family or a large multinational corporation, making a move is a challenging task. Instead of trying to manage the sorting, packing, moving, and storing all by yourself, rely on a Haddonfield moving company you can trust: Simonik Transportation & Warehousing! Since 1977, we’ve employed the region’s most skilled team of movers, packers, drivers, and move coordinators—handling relocations into and out of Camden County with ease and efficiency. From budget-friendly DIY packing assistance to white-glove move management, our Haddonfield movers are here to deliver you and your belongings safely, on time, and under budget! Your Haddonfield Moving Company—Across the Street or Around the World! Local Haddonfield Movers: Local moves in and around the area have never been easier than they are with our experienced crews. Long-Distance Moving: Trust your long-distance move to our state-of-the-art fleet with over 140 pieces of high-tech equipment. Specialized Moving: From family antiques to trade shows and entire hotels, our specialized moving crews can do it all. International Moving: As a Registered International Mover® (RIM), we have the resources to complete even the most challenging global move with door-to-door support. Storage: We have over 79,000 square feet of secure warehousing space right here in New Jersey, so we can accommodate items of all sizes and values! Request a Free Estimate from Our Skilled Haddonfield Movers! Are you ready to the take the next step in your Haddonfield moving and storage journey? 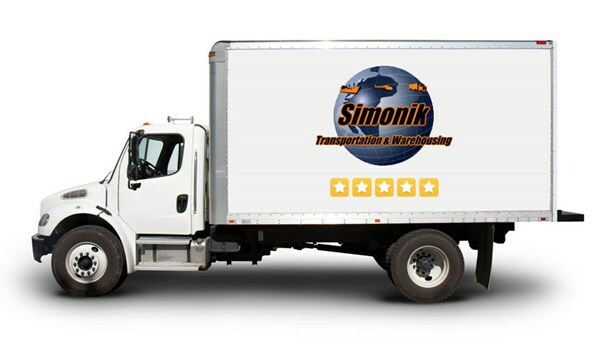 Then get in touch with the seasoned pros of Simonik Transportation & Warehousing today. Call us for more information, or complete our easy online form to request your free moving cost estimate!